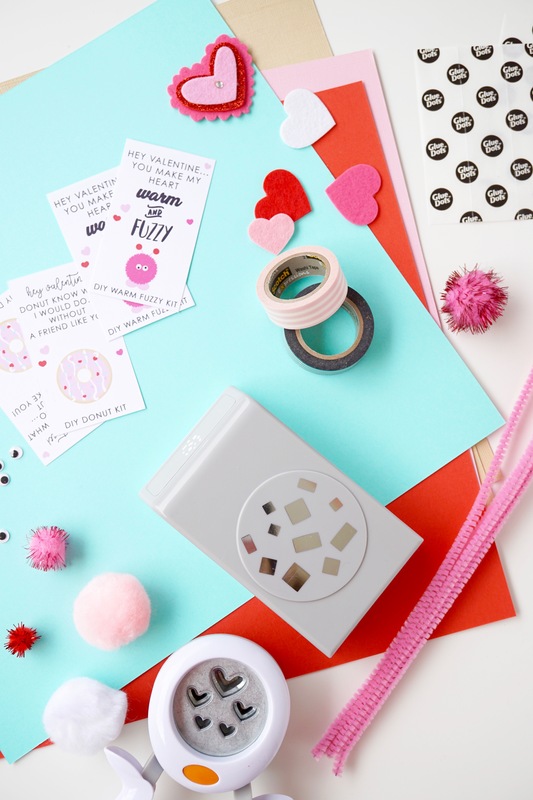 Ok, so we all know that I LOVE candy but…candy isn’t always an option when it comes to class treats so I thought a DIY Classroom Valentine Kit Idea may be something you want to take a peek at!!! 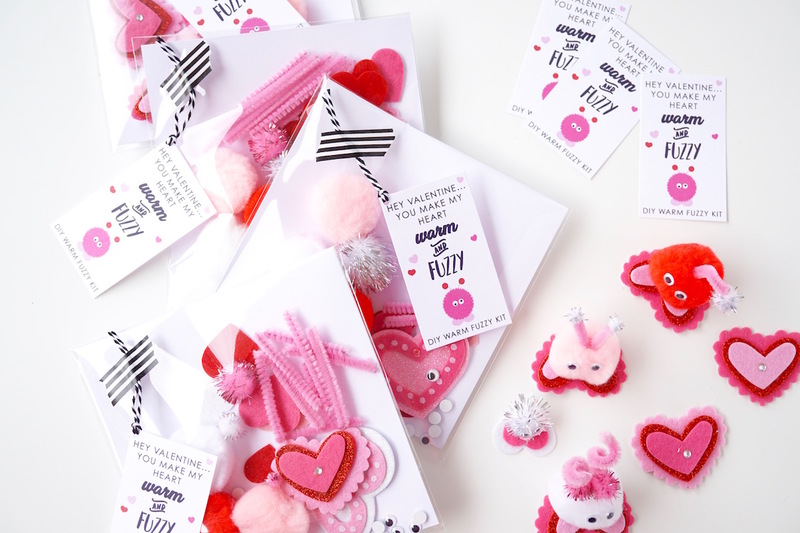 I love creating class valentine’s for my littles and here are all of the details to create your own DIY Classroom Valentine Kit. The bonus? No candy means no kiddos on a sugar rush!!! Well, at least the ones I’m handing out, right?? 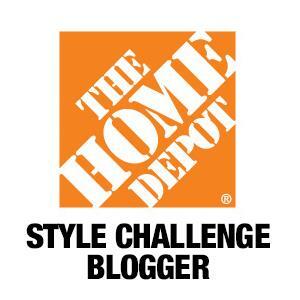 Ok, so lets get started! 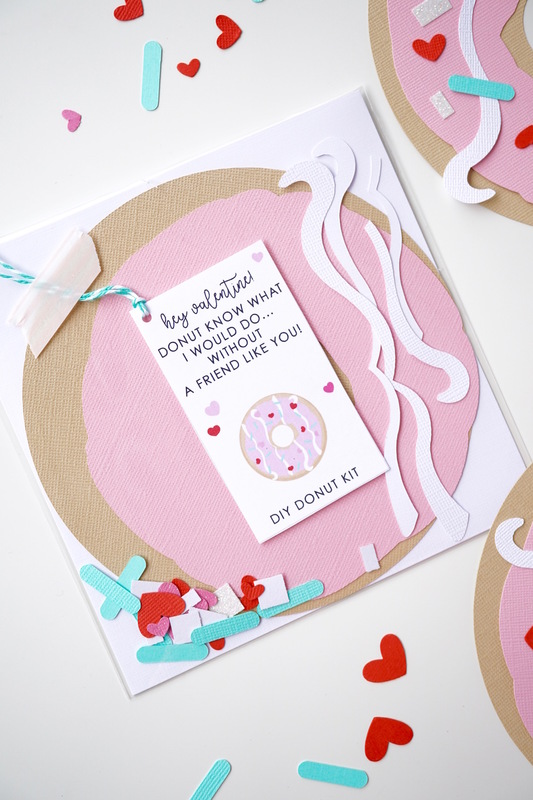 Ok…now that you have your supplies…first up DIY Decorate a Donut Valentine Kit! I started by punching shapes out of cardstock making enough to include at least 6 of each shape. 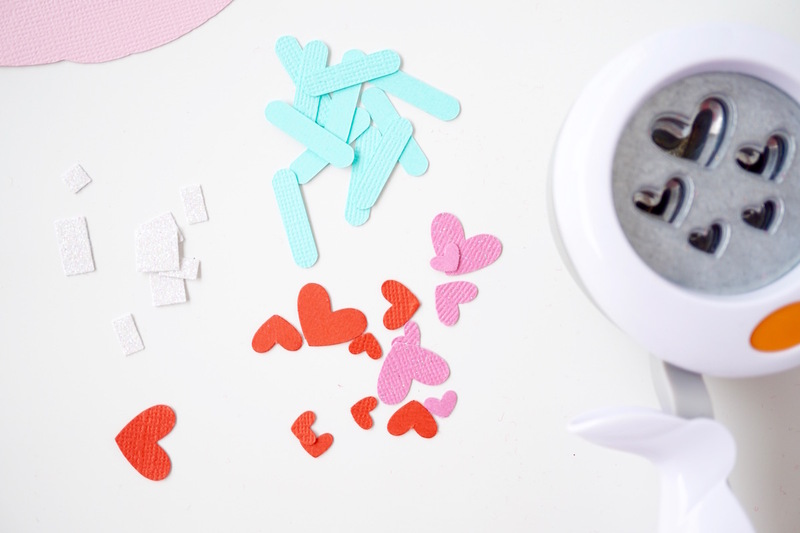 Here are all of the cut pieces for one kit. I found some 6″ x 6″ cello bags I had on hand but any clear bag will do. This is what it looks like assembled…but really there isn’t a right or wrong way, the kiddos can design them however they want! 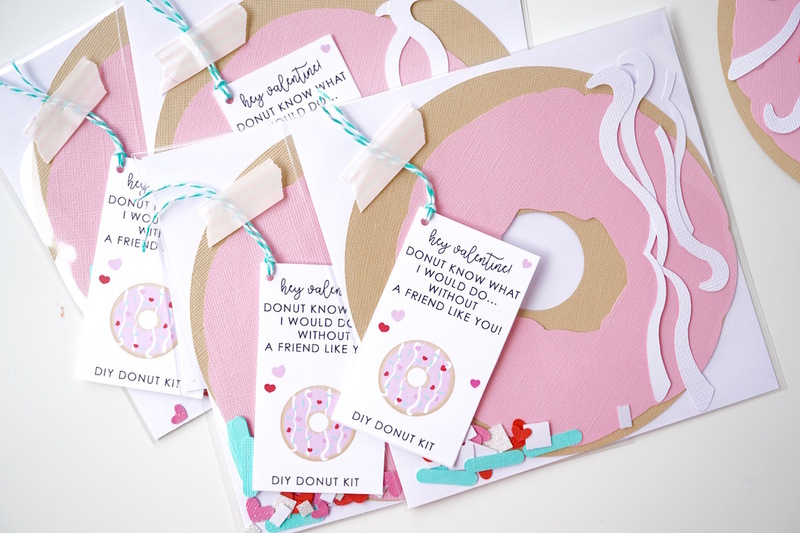 Once all of the pieces were packaged up, I place this darling Printable tag on the front with some twine and decorative tape. 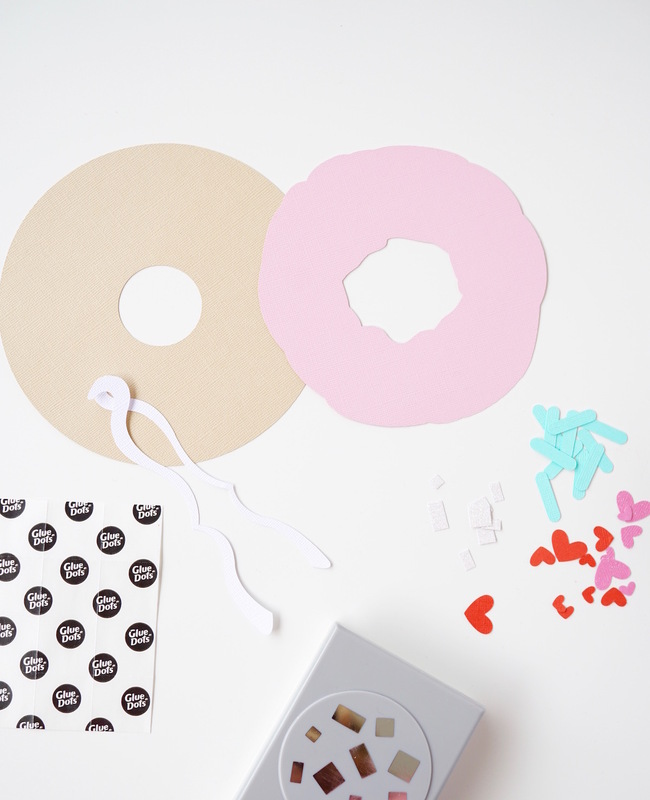 Ready for the next DIY Kit idea? 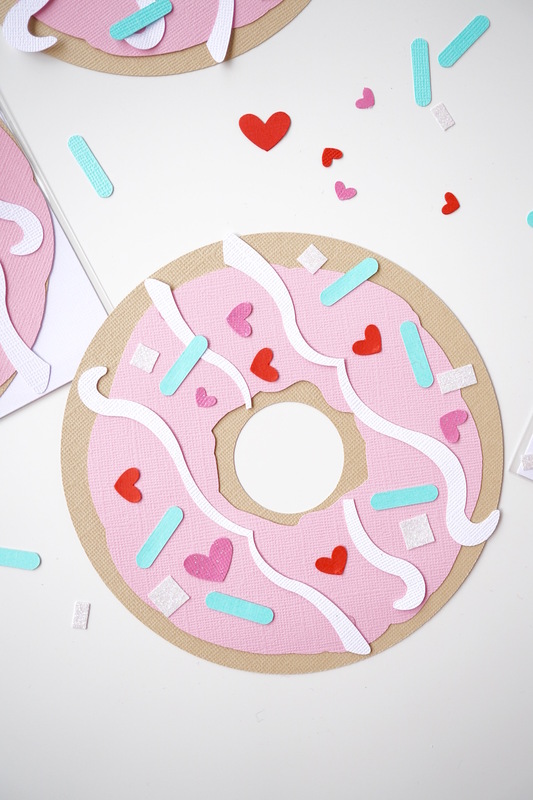 Same packaging, different theme just in case donuts aren’t your thing! 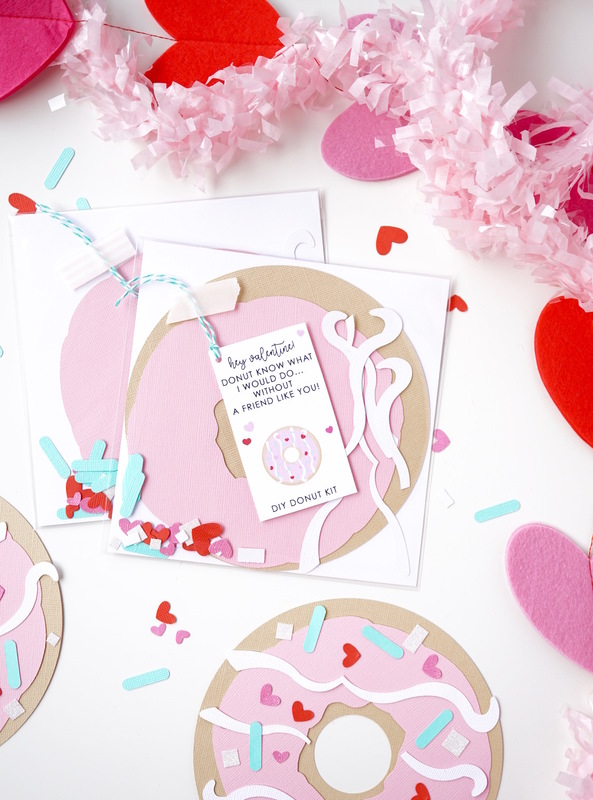 This one was inspired by my childhood…WARM FUZZIES!!! 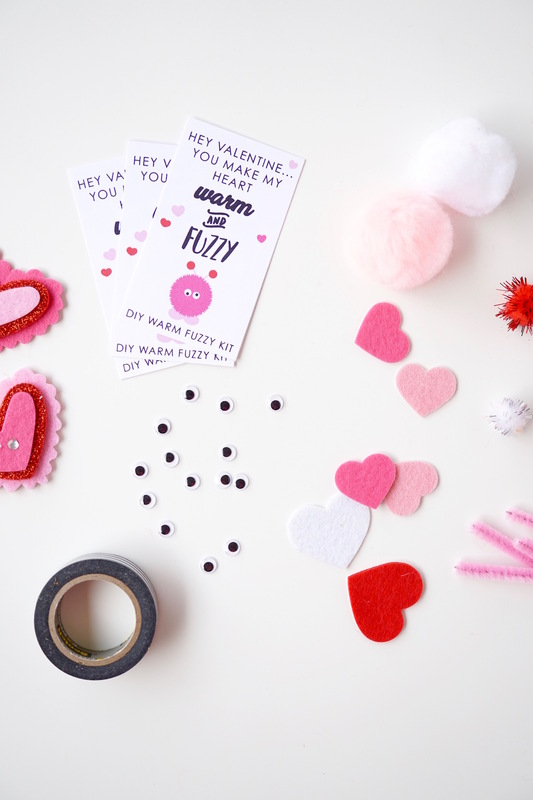 My elementary school teachers would hand out Warm Fuzzies for good behavior and I though it’s be such a fun Valentine’s Day craft for kids. The supplies you’ll need is in the supply list above. 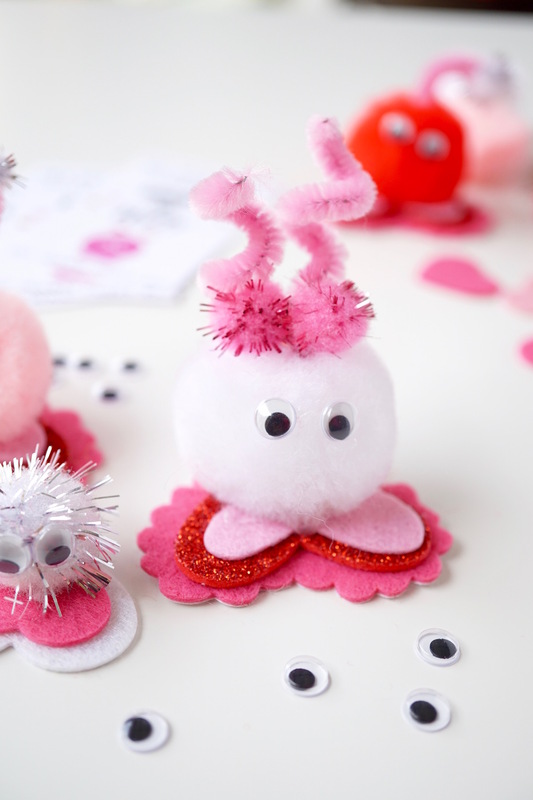 So, same concept…I put enough supplies in each cello bag to make at least 3 large warm fuzzies and 1 small. In order to make THESE!!! 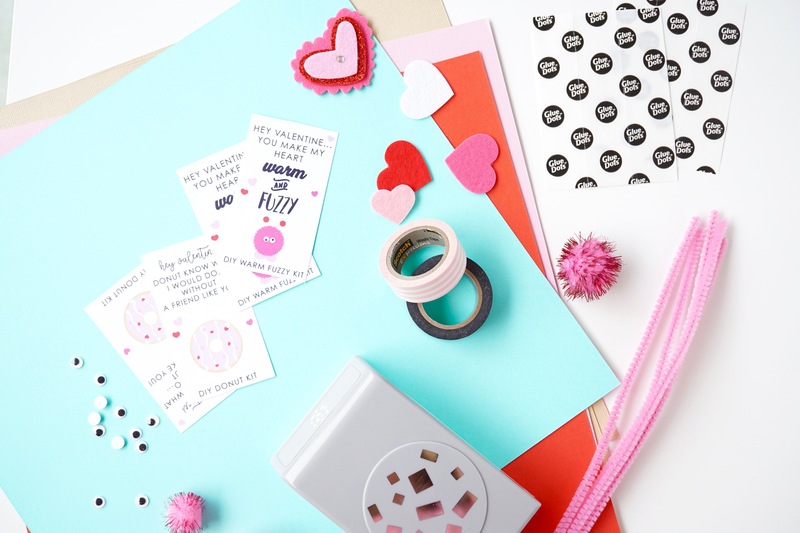 If they want to assemble them at school as a class, drop off some glue too…I didn’t include glue with this kit. 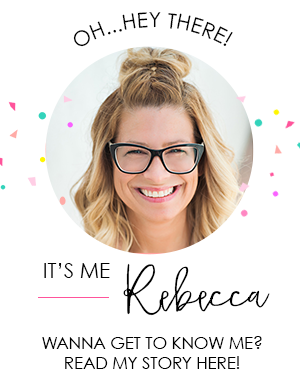 Crazy cute and sugar free! 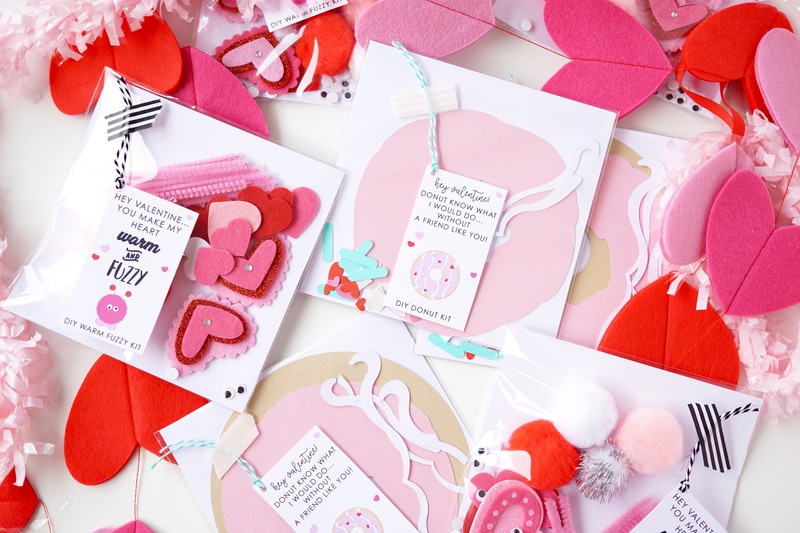 Pick one or make both kits to pass out in class, the choice is up to you…either way these DIY Valentine’s Kits are sure to win someones heart!